It may seem like it’s far away, but before you know it summer vacation will be here. Now is the time to start planning your family vacation for this summer. That means making sure you have the best vehicle to take you on whatever adventure your family might go on. You know Honda is reliable, and that the first priority is to keep your family safe in the 2018 Honda Odyssey. That’s why the Odyssey comes with the Honda Sensing suite of safety features. The Honda Odyssey also comes with many features to keep your family comfortable and entertained on the road. The cabin of the 2018 Honda Odyssey features a redesigned instrument panel. This design of the panel focuses on driver comfort and ease of use. The panel also houses a Digital Driver Information Interface (DDII). The DDII displays phone and app controls, and Honda Sensing indicators. The Odyssey also has Push Button Start options, and the ability to switch gears on the steering wheel. The Odyssey also comes with a One-Touch Power Moonroof. The Moonroof is standard on the EX-L, Touring, and Elite trims. Whether you’re strapping in a car seat or climbing in the back, the Magic Slide 2nd-Row Seats make everything easier. The seats allow for passengers sitting in the third row of seats easy access to the bench. It also makes it much easier for parents in the front seat to access children in the second row by sliding it over for an easier reach. The comfort doesn’t stop there. The interior of the Odyssey features luxurious leather-trimmed seats. It also features heated and ventilated seats, as well as tri-zone climate control to keep everyone at the right temperature, even if no one can agree. As always, Honda’s priority is keeping you safe on the road. The 2018 Odyssey has 50+ features in mind to aid the driver. These features include the Blind Spot Information System. This helps the driver determine whether the way is clear before changing lanes. The sensors sit in the rear bumper and will alert you of other vehicles to help you avoid any collisions. With the Honda Satellite-Linked Navigation System, you can say goodbye to getting lost. The System features 3D renderings of the terrain, surrounding buildings and road signs. The GPS system also provides you with bonus lane guidance and a live search function. 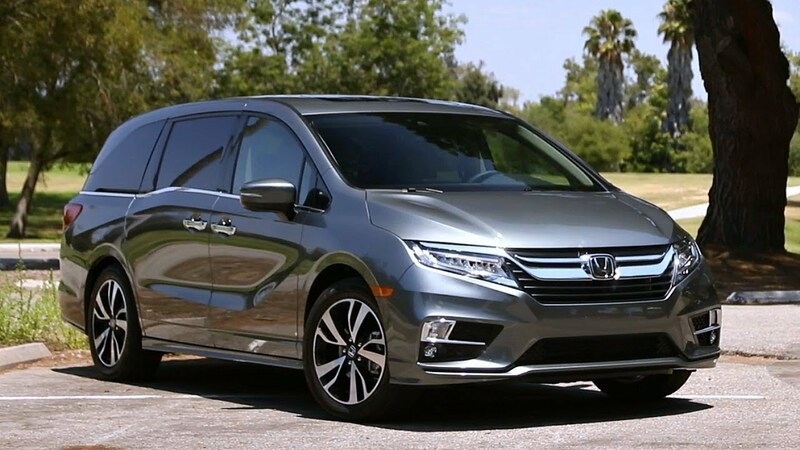 For more information about why the 2018 Honda Odyssey is the perfect family car, visit Henley Honda. Our team will walk you through all your options. The Odyssey will make any long car ride as exciting as the destination itself.